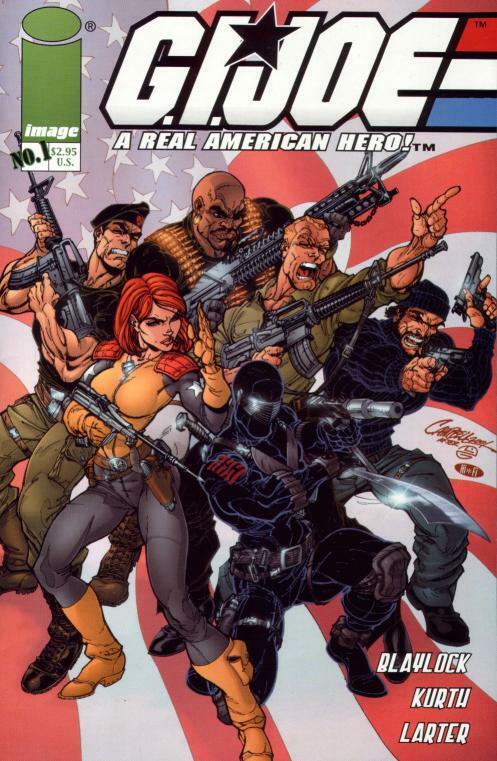 In mid-summer of 2001, comic book news site Newsarama featured an article announcing that Josh Blaylock and his new company, Devil's Due Publishing, had acquired the rights to publish a series of comics based on the new adventures of everyone's favorite daring, highly-trained, special missions force. The result of that announcement was unfathomable. Legions of people were coming into comic book stores--many of whom hadn't stepped into a comic store in nearly a decade--just to check out what the Joes where up to. The success of the G.I. Joe: A Real American Hero caught many by surprise. After all, who knew people still cared so much about a cartoon/comic/toy line from the '80s? The success of G.I. Joe paved the way for a boom of comics from '80s properties including Transformers, Masters of the Universe and Thundercats, to name a few. Ten years later, we're still enjoying G.I. Joe comics, now from IDW Publishing, but we all owe a big thank you to Devil's Due Publishing for for having the vision to take a chance on what many considered a lifeless '80s property. Happy Birthday G.I. Joe and thank you, Josh!